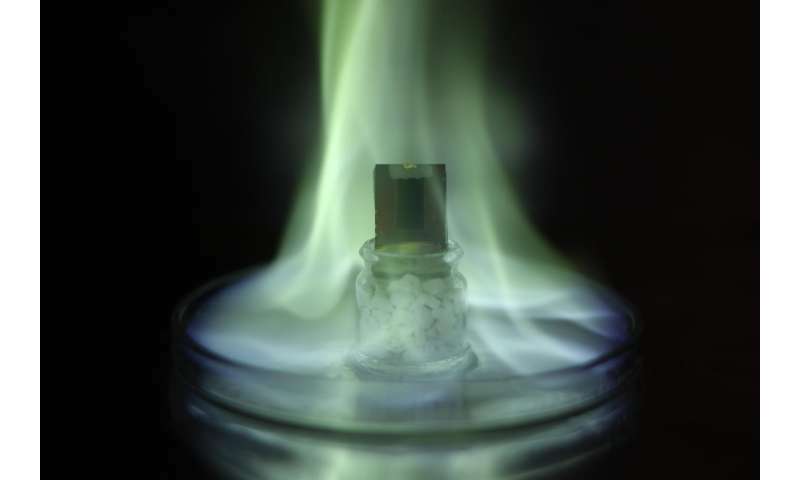 Methylammonium lead iodide is a metal-organic material in the perovskite crystal structure that captures light efficiently and conducts electricity well—both important qualities in solar cells. However, the lifetime of solar cells made of metalorganic perovskites has proven to be very short compared to cells made of silicon. Now researchers from Aalto University, Uppsala University and École polytechnique fédérale de Lausanne (EPFL) in Switzerland have managed to improve the long term stability of solar cells made of perovskite using "random network" nanotube films developed under the leadership of Professor Esko Kauppinen at Aalto University. 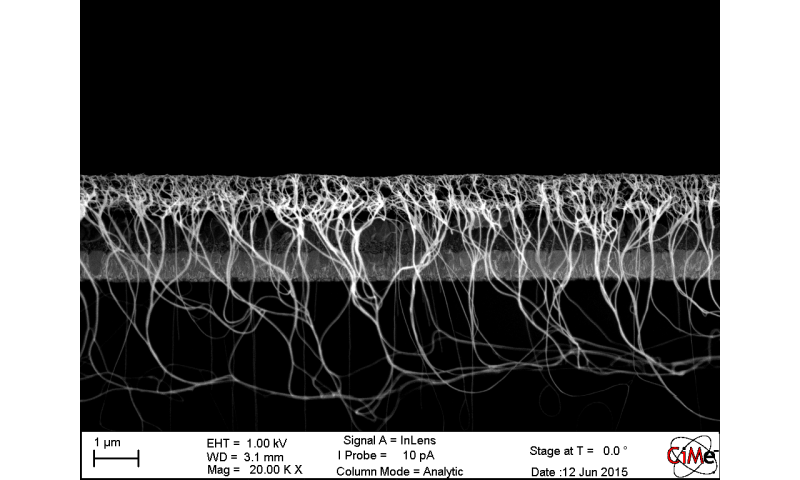 Random network nanotube films are films composed of single-walled carbon nanotubes that in an electron microscope image look like spaghetti on a plate. In the study, thick black films with conductivity as high as possible were used in the back contact of the solar cell where light does not need to get through. According to Aitola, nanotube films can also be made transparent and thin, which would make it possible to use them as the front contact of the cell, in other words as the contact that lets light through. 'The solar cells were prepared in Uppsala and the long-term stability measurement was carried out at EPFL. The leader of the solar cell group at EPFL is Professor Michael Grätzel, who was awarded the Millennium Prize 2010 for dye-sensitised solar cells, on which the perovskite solar cells are also partly based on', says Aitola. The lifetime of solar cells made of silicon is 20-30 years and their industrial production is very efficient. Still, alternatives are needed as reducing the silicon dioxide in sand to silicon consumes a huge amount of energy. It is estimated that a silicon solar cell needs two or three years to produce the energy that was used to manufacture it, whereas a perovskite solar cell would only need two or three months to do it. 'In addition, the silicon used in solar cells must be extremely pure', says Aitola. The alternative solar cells are even more interesting because of their various application areas. Flexible solar cells have until now been manufactured on conductive plastic. Compared with the conductive layer of plastic, the flexibility of nanotube films is superior and the raw materials are cheaper. Thanks to their flexibility, solar cells could be produced using the roll-to-roll processing method known from the paper industry. 'Light and flexible solar cells would be easy to integrate in buildings and you could also hang them in windows by yourself', says Aitola.